Avaya SVP Laurent Philonenko takes his innovation and leadership chops to Servion, where he’ll serve as CEO. In addition to announcing its first-quarter 2019 earnings and a CFO transition, Avaya gave notice today that Laurent Philonenko, senior vice president, innovation, will be departing the company this month. 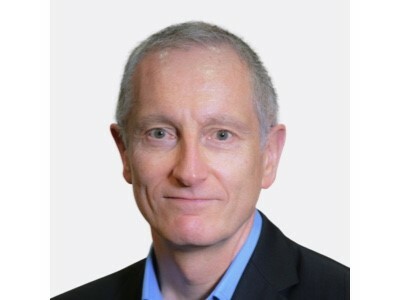 Laurent will be assuming the CEO role at Servion, a customer experience management organization that is a business partner of Avaya as well as Cisco, NICE, and Amazon Web Services (for Amazon Connect), among others. For now, Laurent leaves the Innovation Incubator in the capable hands of David Chavez, vice president, innovation and architecture. Unlike Avaya, I don’t have to say goodbye to Laurent. As I have in the past, I get to see him transition to a new role. I first met him in 2000 when he was CTO of Genesys. Having been at Alcatel since 1992, Laurent moved to Genesys after it was acquired by Alcatel. We continued to work together as he ascended next to COO and finally to CEO of Genesys. After four and a half years, Laurent moved to Cisco, where he initially ran the Contact Center Business Unit and eventually rose to CTO for the Collaboration Group. After a collaboration management refresh in 2013 (similar to the one that occurred in the past year at Cisco), Laurent moved to Avaya. Initially working in strategy and CTO roles, since June 2018 he has headed Avaya’s Innovation Incubator. Laurent brings his experience of working with the three global contact center leaders to his new post as CEO for a company that describes itself as “the only global, end-to-end consulting-led specialist in proactive customer experience management.” In addition to reselling partner premises-based and cloud solutions, Servion has its own analytics and customer journey technology platforms. It is also involved in delivering artificial intelligence solutions, including robotic process automation and AI-powered self-service agents.